The domain name POG.co, owned by someone from China, was lost in a UDRP complaint that was filed by the owner of POG.com,Web Entertainment Limited. The case is rather interesting from many aspects so let’s try to find out what happened and why. Was the domain name lost because a DomainNameSales.com (Uniregistry market) broker offered the domain name for sale to the Complainant for $3,999? It appears so. Of course the change of ownership in March 2016 and some infringing PPC links also helped in loosing this domain. The problems started when the domain name pog.co changed hands in March 2016. The domain was sold to a buyer from China. This is a kind of an emerging problem in UDRP complaints since the boom of the Chinese domain name market and the massive amount of domain names that have changed ownership in past year. 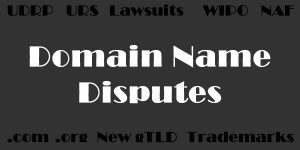 A change of domain name ownership counts as a new registration as far as a UDRP complaint is concerned. So the registration date of the disputed domain name POG.co is stated as March 5, 2016 (the date that the domain changed ownership) in the decision even thought the domain name was registered in 2010. That is not explained properly in decision. Then the domain name was offered for sale to the owner of POG.com for the price of $3,999 using a DomainNameSales.com broker. This is the main reason that the domain was ordered to be transferred and the domain name was lost. The owner claimed that the domain was offered for sale by the previous owner but the evidence submitted contradicted the claim, probably because of the date of the DomainNameSales.com broker email. Of course when making a finding of bad faith registration the panelist also factored in that the domain name was used “in connection with a free parking website, which provides the links of free online games and movies (competing with Complainant’s services).“. The domain currently displays the default GoDaddy landing page without any infringing links. But my main concern with this decision remains. A broker caused this domain name to be lost in UDRP. It doesn’t really matter if the broker contacted the trademark owner before or after the change of ownership. What matters is that the broker did contact the trademark owner. How and why was the contact made? Did the broker check UDRPSearch.com to see if there have been any UDRP complaints for other “pog” domains? They would have seen that there was a pending or terminated complaint for pog.name. “Web Entertainment” has filed 13 complaints so far mainly targeting their “pog” and “y8” marks and has not lost a case so far. A fellow domainer from Greece lost the domain y8.org to them but that is another interesting story. The only excuse I can find for the broker is that pog.com is using whois privacy so the broker could not have seen the name of the .com owner and search for the complainant. But still that is really not an excuse for a professional broker. The broker should have at least searched the US and the EU trademark office for “pog” trademarks and avoid contacting any of the owners. If he wasn’t sure then he should have avoided emailing a whois privacy email address that he/she could not have known where it would end up. So any domain name owner that assigns his domains to a broker should be really careful, ask the right questions before assigning any domains and demand that the broker respects trademark rights and be familiar with domain name law and UDRP complaints. I am particularly interested in this case as I own the domain name POG.biz and was threatened in February 2016 with a UDRP complaint by Web Entertainment Limited. I explained to them that I was not infringing their mark and that I had registered the domain name in 2006. That was 6 years before they got their figurative EU trademark in 2012. I also included in the correspondence their lawyer Marc Randazza. Someone from the Randazza legal group immediately contacted me and said that they will discuss the matter with their client and that they could offer me $1,500 for the domain. I countered their offer and I have since not heard from them again. Will Twitter Win The UDRP Complaint For Twitter.org? The problem is there are so many ‘pretended professional domain experts’ in the domain industry, whether they be brokers, bloggers, or registrar employees, etc. These people ruin domainers’ business rather than helping them with mis- advice, mis-info and mis- support, mis-conduct etc. So, extreme care is needed when having to establish a certain kind of relationship with the so- called experts..
Should have took the $1500. What $1500 are you referring to? There’s no $1500 mentioned in the UDRP decision. He’s talking about my $1,500. I don’t get it, DNS brokers do not proactively start leads, was their an incoming inquiry they responded to? Are you sure they don’t proactively start leads? Thank you for this post. It reveals how out of control most Domainers are when it comes to their Digital Assets. Out of laziness most Domainers leave everything up to So Called Experts, whose only interest is a quick easy sale then NEXT!. I’m with Travis. My hunch would be that someone from POG.com stumbled across the parked page for POG.co and inquired about buying the domain, resulting in a price quote from Uniregistry sales staff. If POG.com omitted that detail from their UDRP complaint, well, that’s hardly surprising, since it serves their interests to play the part of an aggrieved victim. A Chinese domain owner may not have understood the process sufficiently to point out who initiated contact with whom. Might be but the owner said nothing about it and it seems strange, even for a Chinese guy. But even if pog.com initiated contact that does save you in a UDRP. What can save you is if they make an offer and you don’t reach an agreement. So in this case did the DNS broker knew who the buyer was? Or did pog.com used a fake name? But if they used a fake name they could not easily submit it as evidence in the UDRP. So again it seems to be the broker’s fault. I still would like to know if dns brokers initiate contact with buyers. Isn’t that what brokers do? What makes you believe that? Your vast experience with UDRP’s? It is extremely common for attorneys to use gmail or yahoo email addresses to solicit a purchase price for a domain name and then claim in the UDRP that it was “offered for sale” to their client. But here, the UDRP decision doesn’t even say that it was offered for sale to the trademark owner. It was simply offered for sale to whomever inquired to purchase it. In the last dozen or so UDRP’s I’ve done, I’ve had to point out that replying to “JoeBlow@gmail.com” is not an attempt to sell to a trademark owner, but a reply to “joeblow@gmail.com”. But, frankly, if you don’t point that out to a UDRP panel, it’s not as if they notice it on their own. One other feature of the landscape, now that many Chinese domainers are having their first experience with the UDRP, is that there are no attorneys who have deep experience in recognizing and dealing with common UDRP scenarios. This was clearly a situation in which someone acting on behalf of the Complainant (and the Nevada IP address in the DomainNameSales record which I’ve seen, is a clear ‘tell’ in retrospect) made a solicitation for a quote, and then pretended that this was somehow premised on the trademark. It is an extremely common gambit. 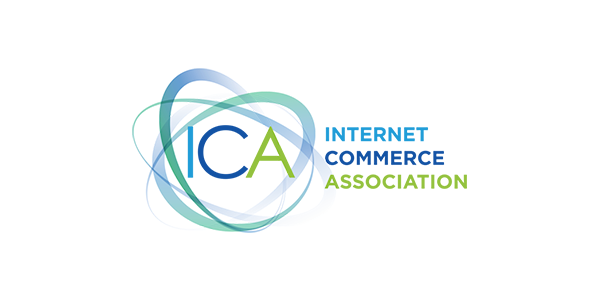 Now, if you take a look at the comments upthread, you’ll notice something interesting about one of them, which seems to suggest that the commenter knows a little more than is actually stated in the UDRP decision. Notice where I said “easily”? That is if the respondent has any basic knowledge of how UDRPs work. Yes, complainants submit anything they can. It is the respondent’s job to defend his/her domain name. Yes, it has happened to me. I defended myself and won the case. And yes I have a good (not as vast as yourself) experience with UDRPs. I have won several and also gotten a RDNH. And I have read quite a few decisions. I would say it was thousands of them. Again, that is why I said “easily”. Any respondent with basic UDRP knowledge would point that out. I too think the same scenario had happened. Yes, that’s what real brokers do: Marketing, Publicity, Research, Canvassing. But I’ve never heard of DomainNameSales sales reps doing any promotional outreach. When customers walk in the front door, they’ll say hello. And they’ll stand in between buyer and seller passing prices back and forth. That’s about it. In this case, “broker” is just an inflated job title designed to sound impressive. If Uniregistry sales staff are brokers, then a Starbucks barista is a “coffee broker” and the receptionist at the barber’s is a “coiffure broker”! That’s not a criticism. Same thing applies to Afternic sales staff. I wouldn’t blame the broker for this UDRP. Ideally, the owner of POG.co ought to be permitted to reach out to POG.com asking if they’d like to buy his domain. Ideally, PPC ads wouldn’t be misinterpreted as a sign of bad faith. The fault here is with the UDRP process itself. And often with panelists who misunderstand how PPC advertising and the domain aftermarket function. So yes in this case they are not true brokers but rather sales people. But again, broker or salesman, broken UDRP process or not, they ought to know how things work. It is not THAT hard. I had an issue where a client had a 2015 trademark, and let the DNS broker know it. They immediately backed off, and let me know, and asked if I needed help with finding a lawyer. Fast forward I took over the inquiry, and made a deal with the owner for $1,800. 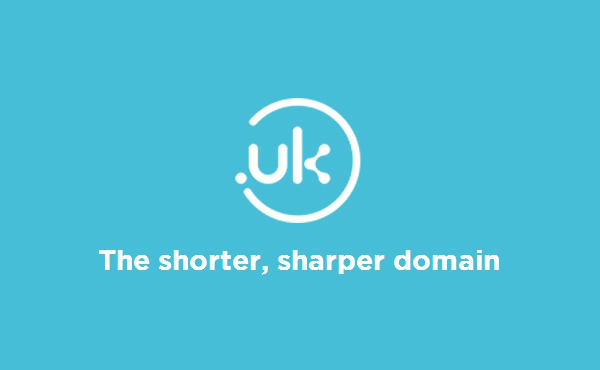 Wasn’t a great domain, just one of those 2 word .coms that you see sell for -1-5k every week. There are so many borderline cases with tm on all good domain names these days. It’s the people filing the udrps that are not always truthful. Headed their way with all the premium names they own. Gentlemen, as you are very aware, DomainNameSales.com now known as Uniregistry offers the world’s leading brokerage. We also offer to sellers the use of our cutting edge Client Relationship Management tools to represent and sell their own domains. After careful research of the incoming purchase inquiries that were assigned to our Brokerage, and those also assigned to the seller’s account, we have noted that all of the inquiries are solicitations made from aol, yahoo, and gmail email addresses, requesting a price or making offers. None of the solicitations, initiated by other parties, included any identification or suggestion that the prospective buyer was acting on behalf of a trademark claimant. The seller provided us a price for the domain name, which was quoted to these inbound leads. It is not unusual for UDRP claimants to anonymously solicit purchase prices for domain names and then to claim that the offer was somehow initiated by the domain registrant. However, there is nothing in our system which shows any contact with the complainant in this UDRP proceeding, or any communication with anyone claiming a trademark right to the domain name. Did you check to see if there are other domains owned by companies using these email addresses? Did you google the addresses? Do you actively reach out to prospective buyers? It’s unrealistic to expect sales staff at market places like Uniregistry to give that much attention to any inbound lead. They only make a fraction of the venue’s 15% cut, whereas the owner makes 85% (or ideally 100%) of the gross amount. So naturally the owner has 10 times as much motivation to take care of the lead properly. UDRP risk affects the domain owner – not the Uniregistry or Afternic sales staff. And there’s no incentive to take extra precautions to mitigate someone else’s risk – not when it slows the broker down. An owner is eager to maximize the chance of a sale; so he’ll be thorough. Meanwhile, the broker has a long list of inbound leads to handle. They’ll reply with templates – clicking a button rather than writing a message 1 human being to another. Researching whom they’re talking to is out of the question when they don’t even bother to hand-write an email! Did Uniregistry google the seller’s address? Of course not. Should we expect them to? No. Domain owners who want that level of attention paid to their leads ought to take responsibility for inbound leads themselves. Get rid of the unnecessary sales staff! We can all field those inbound leads ourselves. Domainers know more about domains than those Uniregistry brokers do. If not, they’d better learn. You are right in general but I think that 15% of someone else’s money deserves the attention I am seeking. So I am wondering why are domainers using them? They gain nothing but some time. Is their time worth more than 15%? What is their cost of leaving money on the table if brokers don’t even google emails. What is their cost of UDRPs and in this case of a lost domain name? Why? If anyone has an answer I would live to hear it. @Joseph You can work with the brokers, the leads and conversation is transparent. I myself prefer buying domains not selling. Selling is a skill set by itself. Not many introvert domainers have that going on. Of course, some sellers prefer to avoid communication and involvement. There’s no one-size-fits-all answer. Even so, we’re talking about copy-and-paste template messages. An introvert can type “Command + V” in less time than it takes to communicate with the Uniregistry sales rep about pricing. Templates replace human interaction. No need for a third person to get involved. All the sales staff will do is ask the owner for a price quote and then paste that number into the template message. Introverts can do that. So can robots. @Joseph. The phone is used, a lot. Plus with brokers doing some of the lifting you get your time back, which is priceless. Am happy with the synergistic offering. What you’re saying makes sense; and that’s perfectly fine. 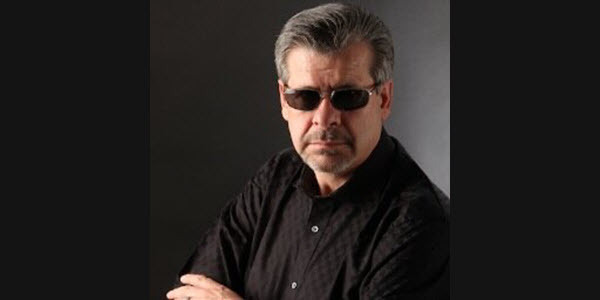 In any given year, quite a few of my sales from inbound leads are HARD sales – cases where no agreement would have been reached without extra research on my part … not to mention detailed explanations / sales pitches crafted for that specific buyer and that unique domain. If I were dependent on a cookie-cutter approach from some sales staff – people who will never share the same motivation and cannot make equally persuasive arguments – then those sales simply wouldn’t happen. So it’s not just a case of paying a 15% commission. You have to wonder how many sales fail to close because negotiations aren’t given personalized attention by an owner who really knows the domain’s merits. If you lose 20% of sales and also pay a 15% commission, then you’re down to 68% overall. Still worth the convenience? Negotiating with end users is essential if we want to understand real market demand. Every domainer is a better wholesale buyer if he listens to the hesitation, the excuses, the questions of his retail customers. By outsourcing that process, domainers are severing their best link with REALITY. And that will cost us on the buy side. We’ll overestimate how easily something sells if we don’t have that feedback loop from mainstream end-user buyers. It’s often frustrating to engage with people. Ultimately, though, it pays dividends. @Joseph. Sellers can self broker with Uniregistry Market, which I did some time back (template blasting), but found having an intermediary (a broker) makes more sales happen. I found the opposite, in terms of sell-through rate. But there’s no reason we can’t both be right. Different experiences. A lot of people have seen large drops in parking income since DNS moved over to uniregistry. First time I hear about this. Could it be because of the summer slowdown? Personally I haven’t seen drop in parking revenue. But definitely huge drop in inquiries and sales. Since changeover, I have seen increase in CTR % Revenue. We have assembled inummerable Sales Broker Comments, perfectly suited for Domainers wanting to use educated facts about .COM Equimoddity Assets. over at our Linkedin account. So if anyone listening wants to start brokering their own .COM Equimoddity Assets, there is now a rich source for educating you on the process of getting higher valuations. 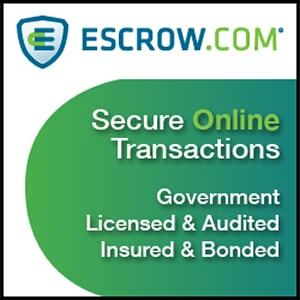 Be Educated and get back control of your Digital Assets. Thank You Joseph Peterson ! More Cutting edge Marketing Intelligence ideas. I have the pleasure of working with some of the best sales people in the world. I highly urge you two to take a cruise, and visit our offices on the stop in Cayman. You can see our Brokers on the phones, writing proposals, strategizing, learning from each other and closing sales. Come in on a Tuesday. That would be best. We have a sales team meeting to go over past successes. We talk about what we did to get that extra bump to make a sale work with all parties, or find a way to fit a quarterly payment into a marketing budget just by asking the right questions at the perfect time. We even discuss where we went wrong. Plus countless other strategies. The ones you cannot get on a template, a Linkedin group or Barnes and Noble. Talking about copying and pasting templates as their primary job is the same analogy as saying a painter just slathers paint on canvas or a baker just mixes eggs, flour and sugar to make a wedding cake. Sure you can do it, but it probably will not turn out the way it looked like in that book you were looking at. Believe me I tried it tiling to save a few dollars. It did not end pretty. I ended up hiring a professional. I suggest you do the same. You mean in tiling or for domain names? BTW I did not get a reply to my questions. I guess I never will. You talk as if I hadn’t seen your sales staff in action. But, as you know, I spent some time as a DomainNameSales customer. And I did give your team a try. They’re all competent nice people, as far as I’ve seen. But they all used cut-and-paste templates. In fact, I’ve never seen them write any message by hand – ever. 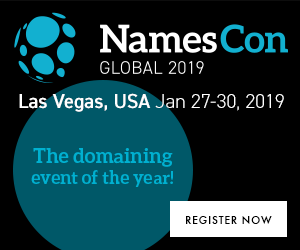 Furthermore, as I told you at NamesCon, some of my prospective buyers COMPLAINED to me about receiving ongoing spam from DomainNameSales brokers. I saw that spam – 100% template emails. It’s worth noting that your employees continued to bombard my leads for months after you closed my account. So they definitely didn’t have my permission. Also worth noting: I had elected NOT to have your staff communicate with my buyers even before that, while I was still a customer. You may not realize that I interact with your sales staff from time to time as a buyer / buyer’s agent. Don’t bother searching your database; you won’t detect anything. Your staff is not giving negotiations personalized attention. I see the same email templates again and again as a buyer’s broker. They’re the same templates I saw your employees using in negotiations when I was the seller. Literally all they did was ask me for a price and then pop that number into the template. Presto! Jeffrey, Jeffrey, Jeffrey … I am a domain industry professional. Even if you’re confident that you’ve trained your staff adequately, and even if you hold periodic meetings with PowerPoint slides, you can’t seriously point to those employees as domain experts I ought to defer to. Let’s not pretend that the folks you’ve recruited from customer service or sales roles outside the domain industry have some sort of expertise that the rest of us lack. Domainers pay more attention to domains than your employees do. It’s perfectly fine if domainers want to hand off negotiations to an intermediary. But it’s characteristically arrogant of you, Jeffrey, to imply that we’re inferior and NEED you. With uniregistry old lead management follow up is now a mandatory feature, no longer an option. Some brokers are quoting without asking owners of updated pricing, and others are offering other options of the deal is not a success to potential leads your domain brought in. And get rid of the free quote part. DNS uniregistry whatever you call it has lost a lot of business to efty. Going round, and round, getting frustrating. I don’t see circus.com listed at Sedo. So this is either completely fake or very old. Sedo sometimes (on premium domains) lists an email address of the broker on parked domains. Maybe the complainant inquired or the broker contacted them. We don’t know without the email. But “willing to sell” is such a nonsense. I am willing to sell any domain including onlinedomain.com or almost anything I own for the right price. Everything is for sale. Would you sell your bike for $15,000? I bet you would. For $5? No way! Everything has a price and the owner sets the price.